Finally some sense with the new and updated Nutrition Australia food pyramid this week; maybe this will help put fruit and veg back on the menu where it needs to be for people drawn in by popular diet fads. Increasingly extreme high-protein diets and the anti-sugar movement have been misleading people into believing that fruit and vegetables are unhealthy so it’s fantastic to see them back where they belong on the pyramid – at the foundation of a healthy diet. The concern is that when people go down the fad diet path, they may be missing out on vital vitamins and minerals that you get from your fruit and veggies. We know Aussies are eating far less fruit and veg than they should be – especially vegetables – but we can’t blame it all on an increase in junk food. Some of this is a result of misguided attempts to be healthy. I hear about people who are worried about having carrots or bananas because, according to the low-carb diet plan they’re following, they are the ‘worst’ fruit or vegetable for carbs. 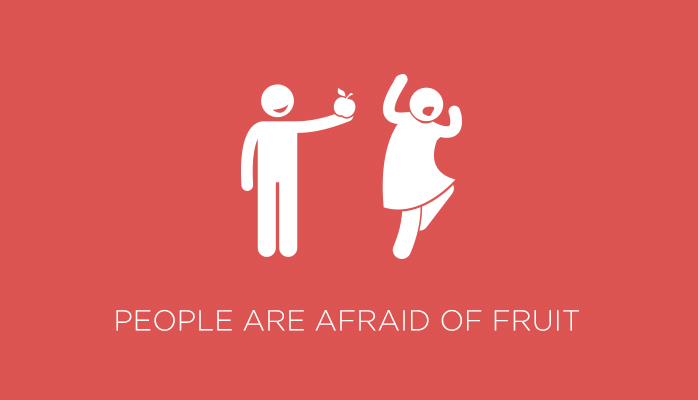 The implication is that some fruits are healthy and some are bad for you. People have enough trouble trying to eat a healthy balanced diet without being told that fruit and vegetables are bad for you! How can you have a “worst” fruit or vegetable? This really is dietary extremism gone crazy. We should be worrying about cutting out soft drink and lollies and deep fried foods – not fruit and veg! For example, on particular diet plan, bananas were ranked as one of the ‘worst’ fruits you can eat but a banana is a fantastic source of nutrition with potassium, fibre, vitamins B and C and a variety of trace minerals and they are actually really good for you. This kind of misinformed thinking can see people make inappropriate restrictions to their diet and can lead to an unbalanced diet that lacks important nutrients. It’s not about counting calories or restricting carbs or eating only foods of a certain colour on certain days of the week. The secret to healthy eating really is very simple – have a balanced diet of foods that are as close to their original state as possible. The less processed they are, the less added sugar, salt and chemicals they will have. If you cut and peel it yourself – that’s the ideal. It’s really just common sense. Great article. Thank you. I can just imagine the executives at soft drink Company sitting with the social media “crew” trying to brainstorm the idea of denigrating Fruit & Veg. Great response. Thank you again. Mark K.